Read more about The Shortwave Report 08/26/16 Listen Globally! 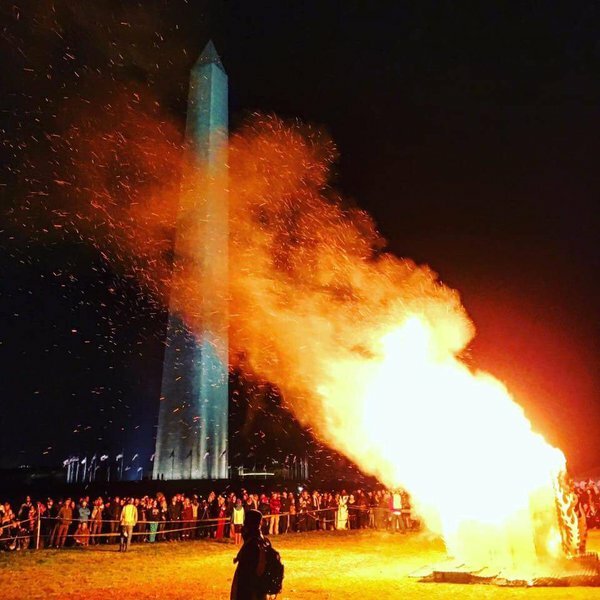 On the 16th if April, DCMJ's full cannabis legalization activists returned to the White House, only to find Penn Ave closed, no doubt in fear of a return of the famous "51 foot joint." Undeterred, they headed to the H st side of Lafayette Park and give away cannabis seeds for free. The demand on the White House was simple: take cannabis off the DEA's "Schedule 1" total ban list. 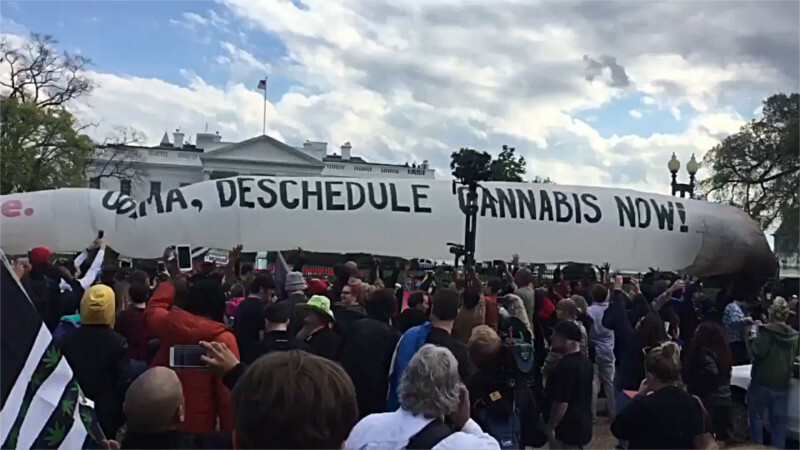 On the 2nd of April, activists demanding that cannabis (marijuana) be removed from the DEA's "Schedule 1" classification marched on the White House carrying a 51 foot long mock joint. At the White House, cops claimed it was a "security threat" and it had to be carried back out. 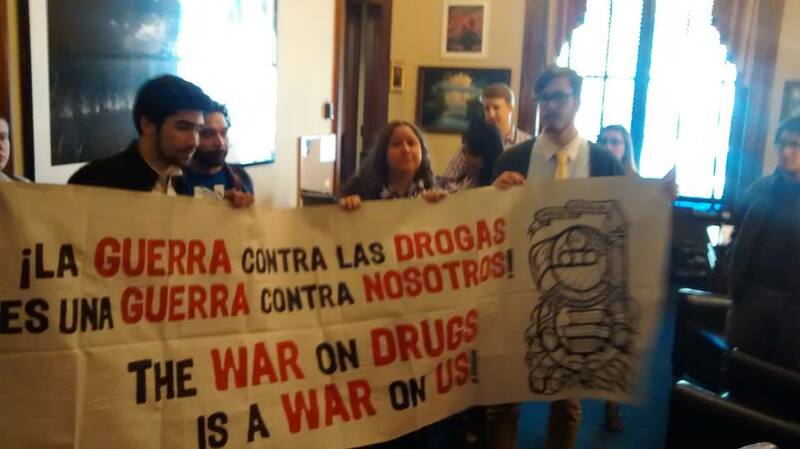 Activists then proceeded to defy the still-actve Federal ban on smoking pot on Federal government owned land. Two tickets were issued but there are no reports of actual arrests. 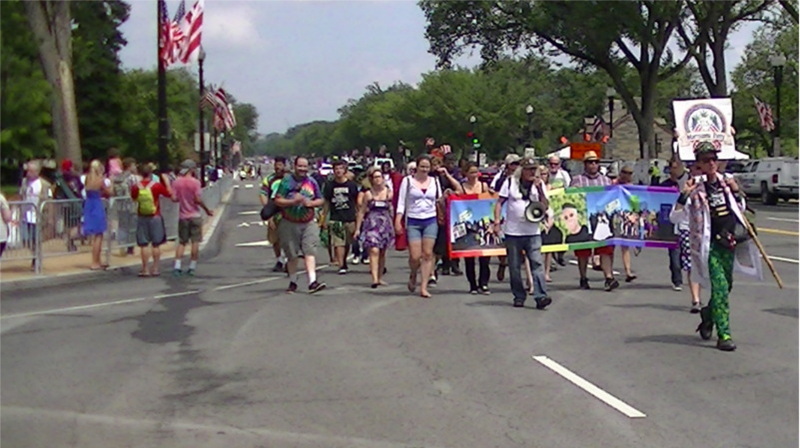 Still from DCMJ video declared by posters "available for unrestricted media use"
Every July 4 there is a cannabis legalization march from the White House to a concert on the Mall near 23ed st. 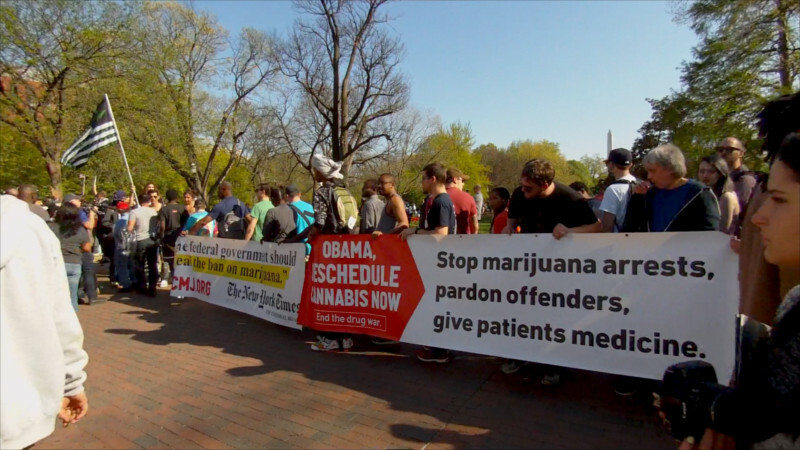 The march demands an end to all federal, state, and local laws persecuting pot users. 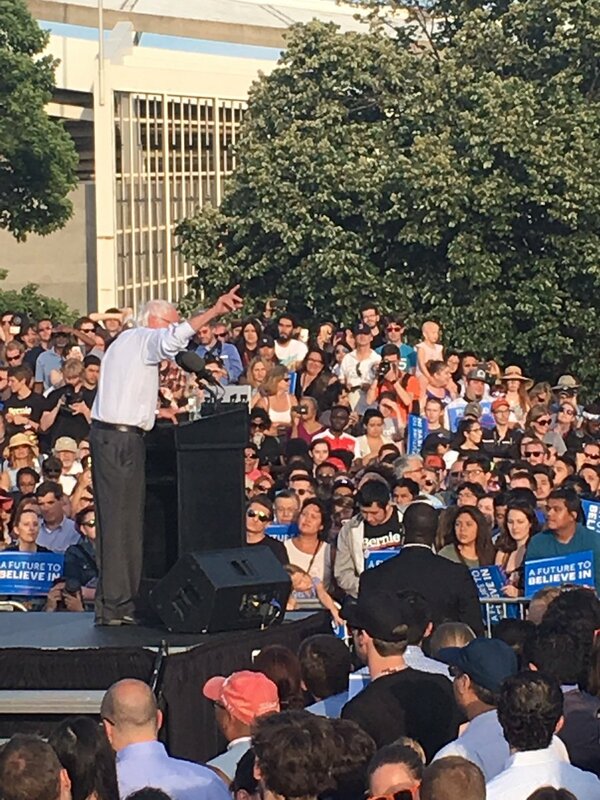 Since 2002 the march has had to pass through police checkpoints to get to the concert site. This year there were an unusual number of troops and military vehicles in the streets as well as all those "Freedom American Style" bag search checkpoints.